This brings oohs and aahs to everyone who tries it. Dramatic dessert that can be made ahead of time. 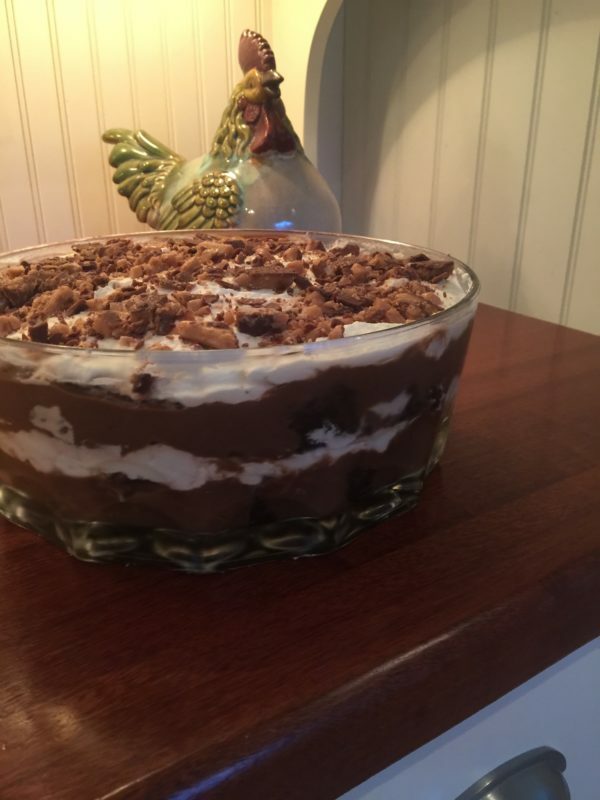 Layer a glass truffle bowl in this order: Cake, Pudding, Heath or Skor bars, Whipped Cream. Crumble with reserved Heath or Skor bars on top.